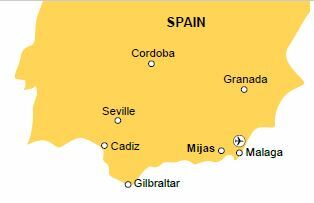 Single Holidays in Mijas Spain. Mijas, one of Andalucia’s prettiest villages, is situated in the hills to the north of Fuengirola – less than a 20 minute drive from the coast but a totally different world. Here, with a backdrop of beautiful mountain scenery, the air is fresh, the panoramas are stunning and yet it is just a short drive from the bright lights and jet-setters of Marbella, Puerto Banus and the rest of Spain’s Costa del Sol. The pace is gentle, the air scented with bougainvillaea, there’s woodsmoke and gastronomic aromas and, in Mijas village, you’ll see pretty little whitewashed houses with wrought-iron gates, flowers and plants and the locals going about their daily business. This, most definitely, is the ‘real’ Spain. And, a huge plus, the quintessential Andalucia cities of Seville and Granada are easily reached on one of the excursions available from Mijas. 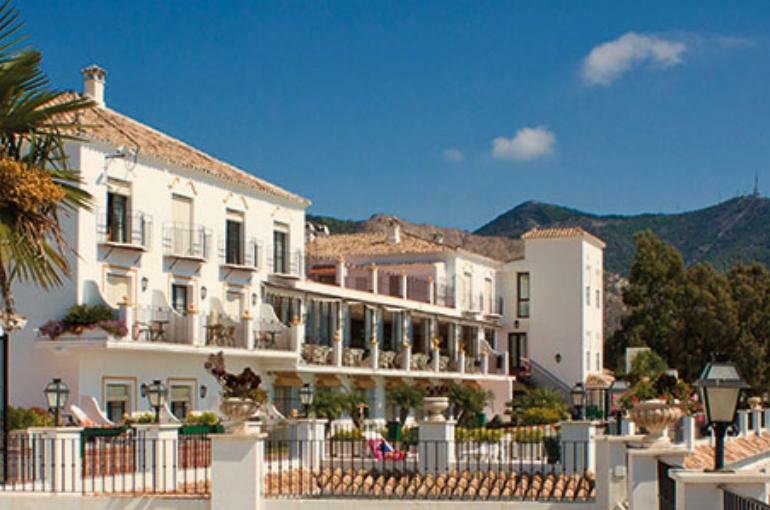 The delightful, 4 star TRH Mijas Hotel is, without doubt, one of the most attractive in our programme. The views from the hotel’s picturesque terrace are, quite simply, stunning whilst the overall ambience is one of total relaxation. Although the hotel was, quite recently, refurbished it still retains its traditional, elegant décor and warm Andalucian welcome. The attractive gardens, with fruit trees, shrubs and flowers, are a haven of peace for sunbathing and reading whilst the more energetic can enjoy a swim in the inviting pool. The hotel boasts a restaurant, a health & beauty club (sauna, massage, jet-tub and hairdresser), a bar, lounge and laundry service. All the air-conditioned bedrooms have a private bath/sh/wc (with hairdryer), satellite TV, telephone, mini-fridge and most rooms have either a balcony or terrace. The centre of Mijas, with a good selection of bars, restaurants, shops and local handicraft specialists, is just 600m away whilst the stop for local buses to Fuengirola, on the coast, is just a short stroll from the hotel. A really lovely hotel in a lovely location.